Drivers in the South East have admitted to using their mobile phones behind the wheel. In a study conducted by car insurance company Admiral, 12 per cent of people said they used their phone to send or receive a text while driving. Despite it being made illegal in 2003, eight per cent of drivers in the South East region said they used their phone to make or receive a phone call while behind the wheel and seven per cent have used it to check social media. Admiral spokesman, Justin Beddows, said: “Driving a car at up to 70 miles per hour clearly takes concentration, but there are so many things that can distract you. The research also revealed more than one in five drivers have bumped another car in the rear and nearly as many admit they have nearly veered off the road due a lack of concentration. Admiral surveyed motorists in the South East about the problems they have concentrating while driving and what distracts them when they get behind the wheel. It found 21 per cent of those questioned have hit another car in the rear due to a lack of concentration. Justin Beddows continued: “Our research suggests too many drivers are having accidents due to a lack of concentration. “Within the last year alone, Admiral has dealt with more than 40,000 claims in the UK where a customer has hit another driver in the rear. While not all of these will be down to not paying attention, losing concentration can easily result in you bumping another car. So just what is causing such mass lack of concentration among road users in the region? 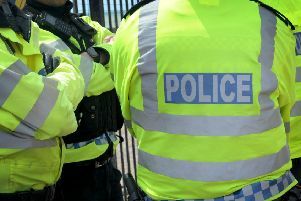 Top of the list was young children, with 35 per cent of those questioned admitting they had lost concentration while dealing with kids in their car. The second biggest distraction was other passengers on 31 per cent. Other major distractions included pets on (14 per cent), mobile phones (11 per cent) and attractive pedestrians (nine per cent).